The Town of Bowers came together on Big Thursday this year to unveil our official Delaware Historical Marker honoring it’s rich history as one of the earliest settlements along the Delaware Bay. 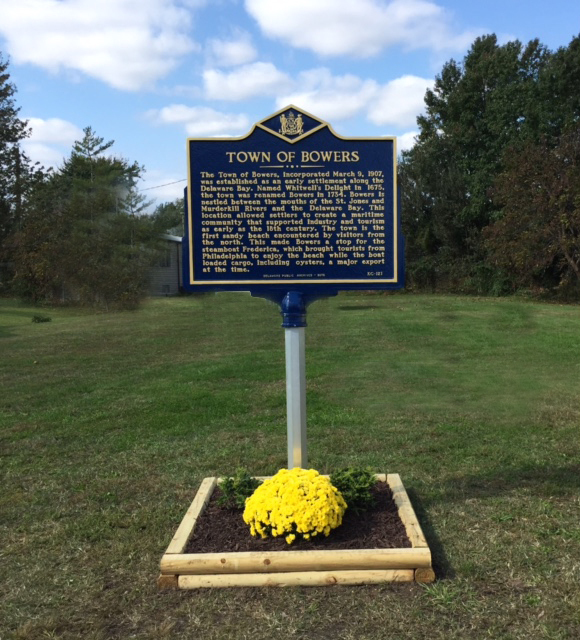 The dedication ceremony began at 11:45 a.m. and included the Chief of the Bowers Fire Company, Phil Pennington (presiding), Mayor Ada Puzzo, and Vice Mayor Patty Mabis. Senator Colin Bonini and Eric Buckson were honored guests.